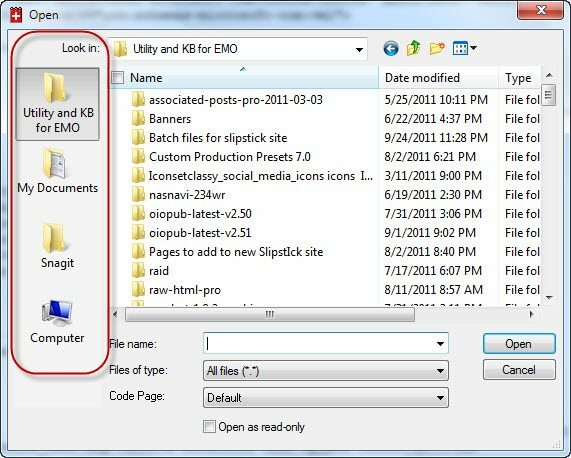 Although Windows 7 (and Vista) make it easier to find folders, thanks to the Favorites and Libraries, some applications use the older Open/Save common dialog. And yes, it still supports Places Bar. You can add up to 5 places to it, replacing the five that are on it by default. 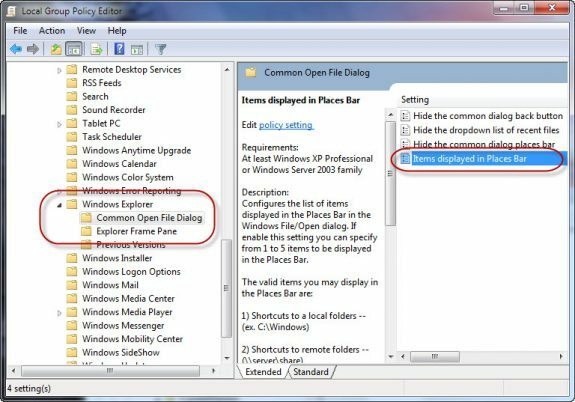 You can add your own places one of two ways: using the Group Policy Editor or by editing the registry directly. To use the Group Policy Editor, type group policy in the Start menu's search field and open the group policy editor ("Edit Group Policy") when it's found. 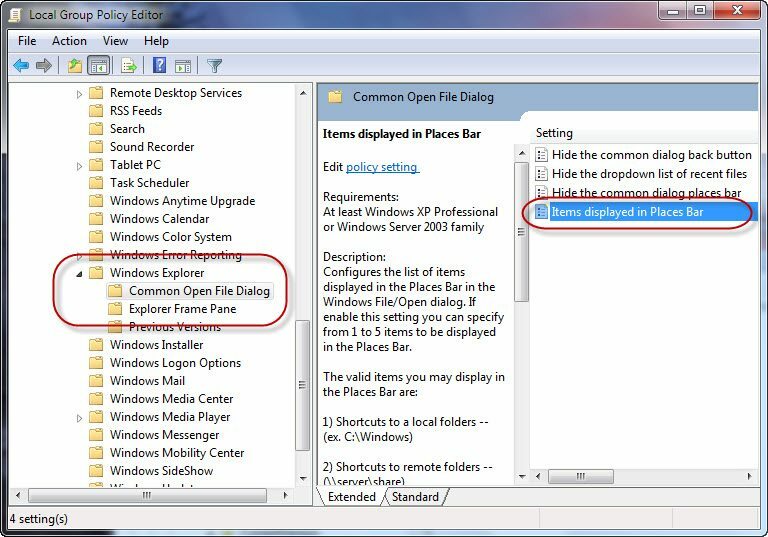 Browse to User Configuration > Administrator Templates > Windows Components > Windows Explorer, Common Open File Dialog. Note: in Windows 8, it's File Explorer, not Windows Explorer. 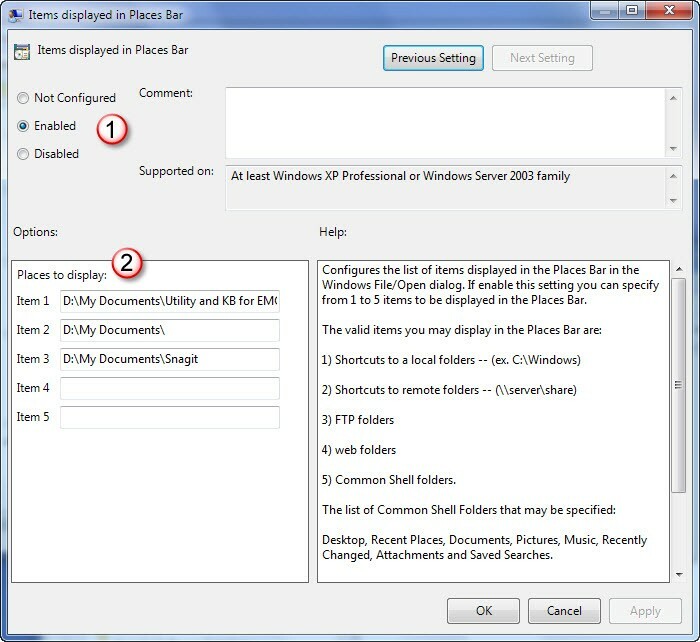 On the right side of the policy editor, double click on Items displayed in the Places Bar. Enable the policy (#1, at the top) and enter up to five places in the fields provided (#2). These replace the five default places as seen in the first screenshot. Open the registry editor by typing regedit in the Start search field and open it when found. 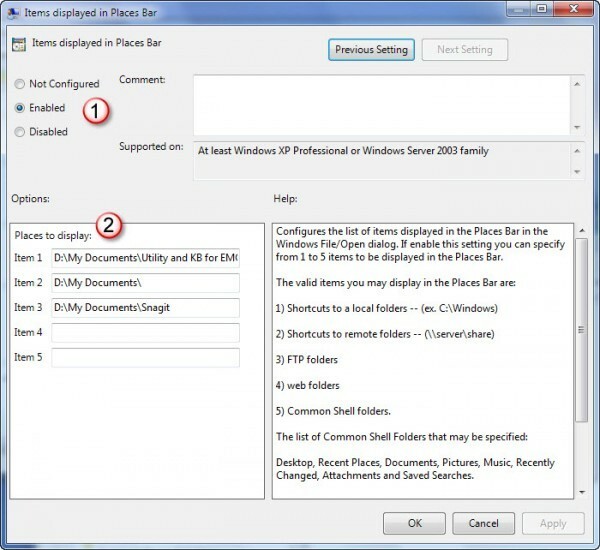 Under Placebar, create the String Values for Place0, Place1, Place2, Place3, Place4. Double click on the String names and enter the paths you want on the places bar. Close the registry editor and enjoy.